Bill Levkoff Bridesmaid Style 1143 is a Lace bodice gown with a sweetheart neckline and wide shoulder straps. 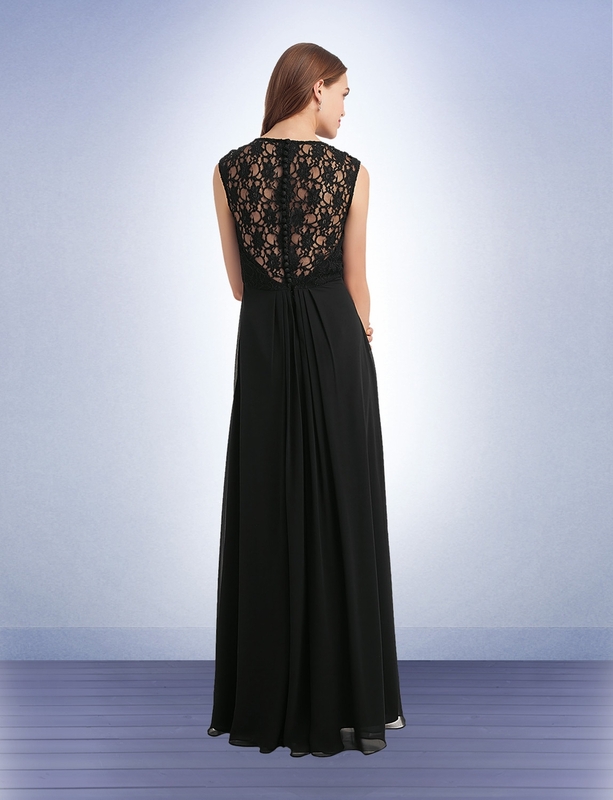 High back with cascading covered buttons. Chiffon long skirt with front and back pleats.